In PC Magazine’s survey, ESET achieved the highest score of any vendor in categories including: likelihood to recommend (9.4/10), overall satisfaction (9.3/10) and trust (9.3/10) as well as highest net score overall. Only 5 percent of ESET users in PC Magazine’s survey indicated they had needed support within the last 12 months, one of the lowest percentages among companies that received at least the requisite minimum of responses to be included in their roundup. PC Magazine asked respondents several questions about their overall satisfaction with 11 different security suites. These included questions about their reliability, as well as their experiences with technical support needed within the past 12 months. The above results are another validation of the ESET leadership in the antivirus and endpoint security market. 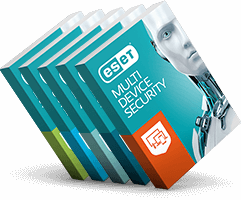 ESET provides the highest level of security with the best balance of speed and performance, and the best quality software, which makes it the best choice for all type of users, in the opinion of the users themselves.